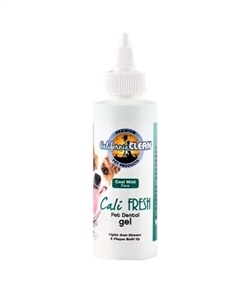 California Clean Pet Dental Gel 4.oz can be used with or without toothbrush or finger brushes. Apply gel directly to oral areas where plaque and tartar are visibly present. Pet's licking action will mix saliva and gel to coat all oral surfaces. No brushing or Rinsing Required!